The spring garden is abloom! This doesn’t mean that additions to your garden should come to a halt – there are still many plants, flowers and veggies to plant this month. And while October may be dedicated to roses and hydrangeas, there’s no doubt that the rest of your green paradise could use some attention, too. 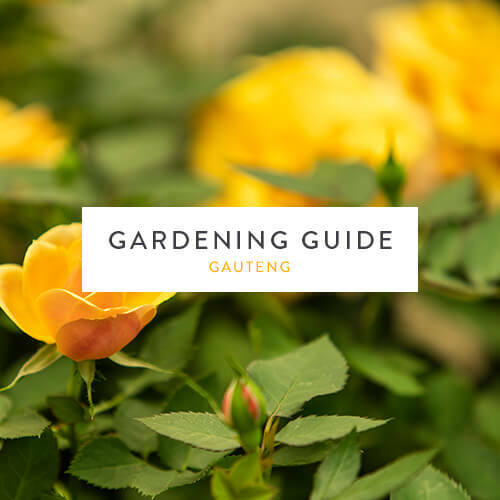 Here are our gardening tips to get yours off to a successful start. Flower seedlings to plant in sun-exposed areas: petunias, hydrangeas, sweet alyssum, gazanias, penstemons, Chrysanthemum paludosum and C. multicaule, SunPatiens® and Celosia. Seedlings to plant in shady areas: New Guinea Impatiens, Busy Lizzie Impatiens, begonias, hypoestes and coleus. Annuals to sow: cosmos, marigold, Portulaca grandiflora, zinnia and sunflowers. Vegetables: baby marrows, carrots, cucumbers, green beans, lettuce, radishes, spinach, squash, sweet peppers, tomatoes. Calibrachoas need to be fed with a water-soluble fertiliser twice a month to keep them in full flower. They dislike soggy soil, so be careful not to water too much. Plants growing in acidic soils will need some agricultural lime for performance enhancement. Young plants need only one cup, while more mature plants (older than five years) could do with two cups. A water-soluble foliar feed high in potassium should be applied monthly throughout summer. This is the month to feed your hydrangeas with hydrangea food to ensure a steady season of blooms in the summer. See more tips for hydrangea colour in our care guide. Clean up succulents such as echeveria and kalanchoe when they have stopped flowering by dividing them and replanting them in other parts of the garden. Feed your roses with Wonder Rose and Flower 8:1:5 to prolong their flowering and encourage development of more growth with buds. Deadhead roses when flowers are drooping to encourage more blossoms. Mulch around your roses to keep the roots cool during our hot summers. For protection against pests and diseases, use Efekto RoseCare3 (a 3-in-1 product).